In our vast adventures, we’re often able to participate in exclusive interview opportunities with influential people in our lives. Whether it’s an actor, director, game designer or someone else, we always like to find out what makes them tick, why they do the things they do or what their goals are. 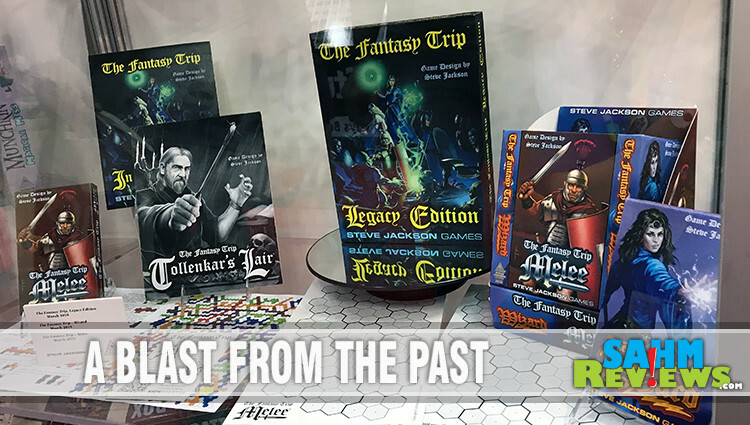 In preparation for Gen Con, we were able to ask the iconic game designer, Steve Jackson, some questions about his past, his thoughts on using games for education and more. We hope you find it as inspirational and engaging as we did! SJ: Probably Monopoly – the family wore out at least one copy. I still have some other games from my childhood, including one called Bridg-It which was a lot of fun for two players. I liked Chinese Checkers when we visited the cousins and could get several players. 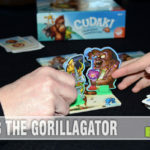 How do you feel tabletop games impact children’s social skills? SJ: “Definitely positive. It’s all been said before, but it’s true: games teach you to cooperate, to compete fairly, to win gracefully and to be a good sport when you lose. 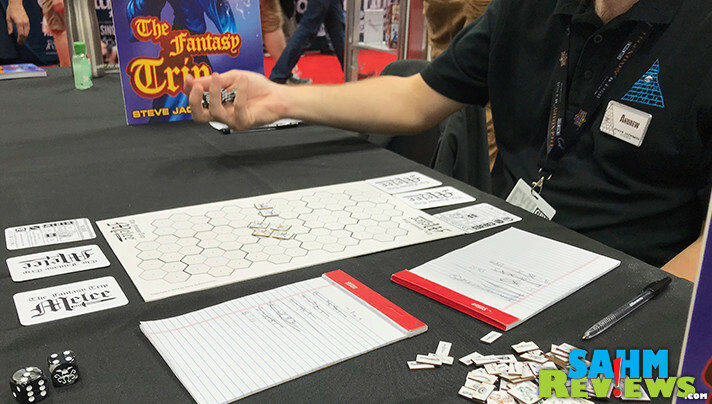 We see you’re returning to your roots with The Fantasy Trip, your first Role Playing Game (RPG). What was the catalyst for creating it in the first place and what inspired you to revisit it? SJ: I originally created it as a substitute combat system for the original Dungeons and Dragons – I wanted to see more tactical play and less just “I strike at the orc.” But I sold all my rights in the system to the publisher, which went out of business just a few years later, and the game went out of print. When a change in US Code 16 made it possible for authors to recover long-ago-sold intellectual property, I jumped at the chance to revisit my first big roleplaying project and do it better. As our name implies (SAHM stands for Stay at Home Mom), our readership consists of many moms. Can you offer a brief overview of The Fantasy Trip and at what age you recommended for introducing it to children? SJ: That entirely depends on the SAHM’s philosophy about fantasy and pretend violence. Some parents would not consider TFT a suitable game for their kids at any age, because at its core it is a game about fantasy combat. If that is not an issue, then I would say that a child at 10 could learn the rules if taught (and might enjoy the roleplaying aspect more than the tactical combat) and an interested group of 12-year-olds could teach themselves to play. What is the best way to introduce games like The Fantasy Trip to people who feel overwhelmed by it? SJ: Perhaps, start by hiding the big box and showing them only the tiny MELEE game from inside, and say “Want to learn a game about fighting monsters?” If they enjoy it, you can work up to “Want to use those same characters and rules to have a whole adventure?” They’ll be roleplayers before they know it! Designers often find things they wish they had done differently with a game. What was one thing you wish you had designed differently when you originally released The Fantasy Trip? SJ: Oh, good question! And timely, because when I started the new project I tried to revisit everything that had not worked out perfectly. I think the decision I regret most about the original design was that character advancement was completely open-ended. That was exciting for a while, but some campaigns lasted for years and years and the characters grew into unplayable, never-failing superheroes. When the option of failure is removed, play becomes mechanical. I also really wish the publisher had indexed the original game, but my new edition has an index! What changes will we see from the original release? SJ: Well, I certainly addressed the advancement problem, of course. The new edition is reorganized. It has a few extra spells and talents. It knocks some of the rough edges off various rules, and puts a lot of detail into the wizard’s staff. And the original edition was very much a budget production, but this one has a nice color box, die-cut counters, pretty maps, and so on. And of course it comes with dice. Will this release of The Fantasy Trip have any Easter Eggs we should be on the lookout for? SJ: Yes! We have good online support with lots of extras. There’s already a whole website full of Easter eggs at thefantasytrip.game, and more eggs go into the basket all the time. The subtlest little Easter Egg is on one of the counters – it’s purple, and the warrior has bell-bottom pants, which is a callback to the appearance of the counters in the first edition. In what ways do you feel teachers could incorporate RPGs such as The Fantasy Trip into their curriculum? Aside from the story-telling benefits, what other subjects could benefit from this tactile method of teaching? SJ: Any RPG will teach problem-solving skills. There is a little math involved in Fantasy Trip character creation, but only a LITTLE; compared to most RPGs it is almost math-free. Certainly the use of the dice in “success rolls” can teach some basic probability. Really I think you have hit on it with the storytelling; that is a big thing, not just for the Game Master, but also for the players, whose actions contribute to the story and who are rewarded with Experience Points for good roleplaying and moving the story along. And last but not least…When interviewing celebrities like Chris Evans, we always try to ask, “If you could go back in time, and have dinner or a conversation with someone from history, who would it be with?” We’re going to switch that question up a bit for you: If you could go back in time and play games with someone from history, who would it be with and what would you play? SJ: I’d go back to the early Seventies and sit down at the table with Gary Gygax and Dave Arneson to play the early form of D&D. I met both of them at conventions, but never really got to know Gary at all, and had only a little bit of quality time with Dave (a really great guy who put everyone at ease.) I’d love to learn how THEY played, back when they were inventing the whole art of roleplaying. 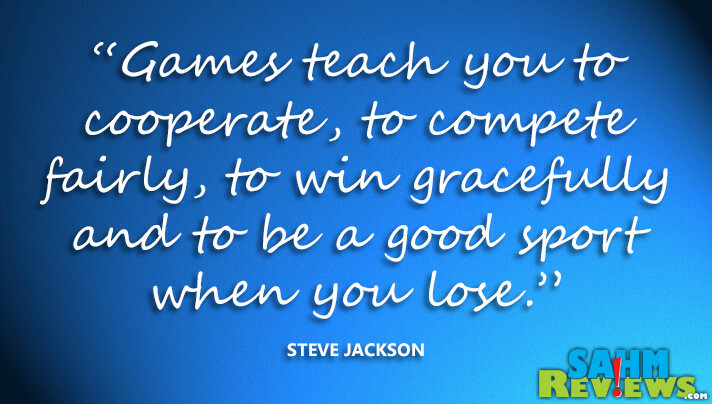 It’s great to hear Steve Jackson’s thoughts on the benefits of gaming as well as some insight into his games. 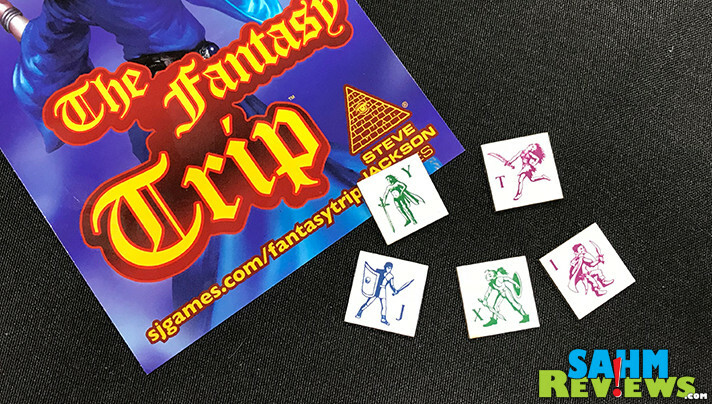 If you’re interested in learning more about The Fantasy Trip, you can check out Steve Jackson Games’ website or The Fantasy Trip website or go straight to The Fantasty Trip Kickstarter page before it closes on August 24th! News and updates can also be found on Steve Jackson Games’ Facebook and Twitter channels. Be sure to check out the variety of other Steve Jackson Games on Amazon. What would you ask Steve Jackson if you had the opportunity? I love this interview. I need to learn more about him and his games. It seems like he took D&D and board games and sandwiched them together into something that even I could understand and enjoy. “Games teach you to cooperate, to compete fairly, to win gracefully and to be a good sport when you lose.” – This is so true. 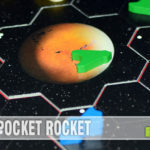 Sometimes I think of tabletop games as old school, but they teach skills every child needs to learn. How fun! I’ve always wanted to learn to play D&D. I hadn’t heard of Steve Jackson before, but now I’m intrigued! This is such a great interview. I have to agree, Monopoly was definitely my favorite game as a child. I wish I had the creativity to create a game for families to enjoy. I grew up during that time when gadgets were not yet the norm, so we spent our summers enjoying the outdoors and playing board games too. Our favorites were Monopoly, Pictionary, and Cluedo. Oh, BTW, I would really love to get Cluedo again. I miss playing that game. This sounds like a great game. My son and his friends are starting to get into board games more now. They are playing online games and their systems a lot less. He seems knowledgeable about the many benefits of a game. What a great interview! I love your variety of questions! Monopoly was my favorite to! Look forward to following you!! This was a very nice interview.I agree with Steve’s thoughts on games improving social skills like cooperation. I think games are a great way to reinforce certain educational skills, but often is frowned upon in educational settings. I love Munchkin. I am perplexed though that there have been SO many versions. The Fantasy Trip sounds like an interesting game. I love the going back in time question! And he had a great answer for it too. It would have been really interesting to watch them create that. Steve Jackson is the KING of fantasy games! Great interview! This really makes me want to check out The Fantasy Trip! Neat! D&D is my son’s favorite! This game looks cool! 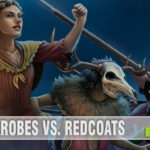 Yes – these fantasy games look like fun!! I’d probably ask something Munchkin related. That’s my context for Steve Jackson, after all…. I’d like to ask Steve Jackson what other concepts he would like to make a game from….loved board games growing up because they do teach social skills, something that a lot of these gadget games don’t even come close to doing. Where do they get such an imagination! Lucky!